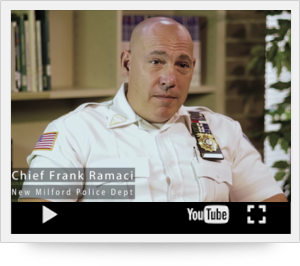 Chief Frank Ramaci of New Milford, New Jersey talks about Safely Back Home with Founder, Paul Jetter. Safely Back Home, in partnership with Project Lifesaver International, offers high quality, tag-less garments custom imprinted with emergency contact information. The Safely Back Home garments help enable the public and police to assist in the rescue of your loved one - should they wander due to Autism, Alzheimer’s or other cognitive disability.